Billa is a grocery store or supermarket. Since there was a kitchen in our hostel and parks nearby I would go to the Billa for groceries and snacks. My roommates and I bought a lot of bread, cheese, and eggs. Two of my roommates were vegetarian, something of a struggle for them but it wasn’t impossible. There is plenty of cheese in Prague, and it’s delishious. At the Billa I would buy and try the different cheeses, I would fry my bread with oil or butter on the stove and then cover it with pasta sauce and whatever cheese I had picked up. My favorite was a smoked cheese. My roomates and I would also eat a lot of egg in a hole or egg in a basket, it has a lots of names. It’s where you remove part of the bread to make space to cook the egg. We also ate a ton of nutella. A lot of the snacks I purchased at the Billa. I ate a lot of yogurt and pudding. The Billa near us closed earlier then we wanted it to. I had difficulty buying fresh produce because I had to weigh it and use a touch screen which I didn’t understand for some reason at first and so avoided it the rest of my time there. But it is really self explanatory and it’s touch screen. So usually for vegetables or fruit I would just buy the already marked sets. 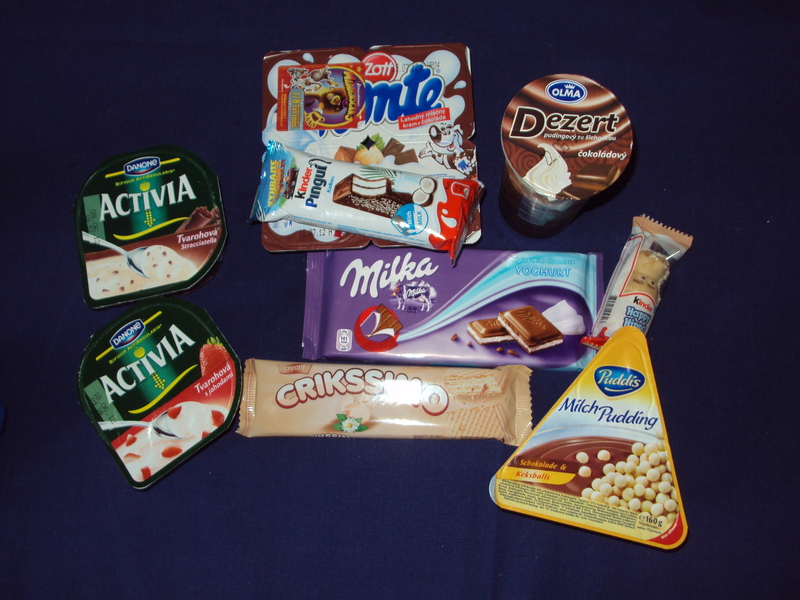 I also bought a lot of sweets and yogurt since they had such a large variety of it. Alcohol was also really cheap. On one of our first days there one of our teachers gave us a walking tour of our neighborhood. He showed us around the Billa and told us what some of the things were or where we could find things. We also had to be careful because mineral or carbonated water was about as popular as flat water (neperlivá). By the time I left I became pretty fond of the mineral water. One of the things I screwed up, outside of buying vegetables, was buying laundry deteregent. I accidentally bought softener instead. Outside of things like that the Billa was easy to navigate but a bit scary when checking out. I learned pretty quickly to just look at what numbers popped up on the screen at the check out and how to say thank you. The Billa has it’s own jingle and the more time you spend there the quicker you learn it. There would be moments in our hostel or while we were out where that would be a song we’d randomly sing. All of the music I heard outside of the jingle while I was at the Billa was American music in the weirdest mash up. American music would be playing almost everywhere we went. We rarely heard Czech music. Our teacher had everyone over to watch the Eurocup and we purchased chips we found strange or interesting at the Billa. Such as Peanut Butter Cheetos, ketchup flavored bears, cheesy monster ghosts, and salty hearts.